Coinciding with the introduction of the Windows Mobile 6.5 operating system, Microsoft has upgraded and launched its free phone backup service My Phone – previously in beta – and added a couple of useful premium features to it. Despite the fact that the official My Phone blog and Twitter account remain silent for the time being, users have definitely taken notice and started tweeting about it. If you have a Windows Mobile 6 phone, you can use Microsoft My Phone to backup all your data, including your contacts, calendar, photos and more to a password-protected website. When you switch to a new Windows phone, or you lose (data on) your current one, you can head to the website to restore documents, contacts, music, and anything else you synced in just a few clicks. The website also gives you an easy way to organize your phone photos, or to search your text messages and anything else you synced to the service. 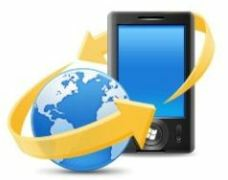 In addition, you get an easy starting point for redistributing media to your Windows Live account or other social networks, either from your phone or the web application. All in all, it’s a no-brainer to start using it if you carry a Windows phone. Most newer Windows phones come with the program pre-installed anyway, but you can also download it to your device on the fly right here. All these features are free to trial for 60 days. Give it a whirl and tell us what you think.